Flood Clean Up & Debris Removal Services | 1800-GOT-JUNK? At 1800-GOT-JUNK?, we’re experts at flood debris cleanup and can help get your home back to normal as quickly as possible. You can count on us for fast, professional service when you need it. 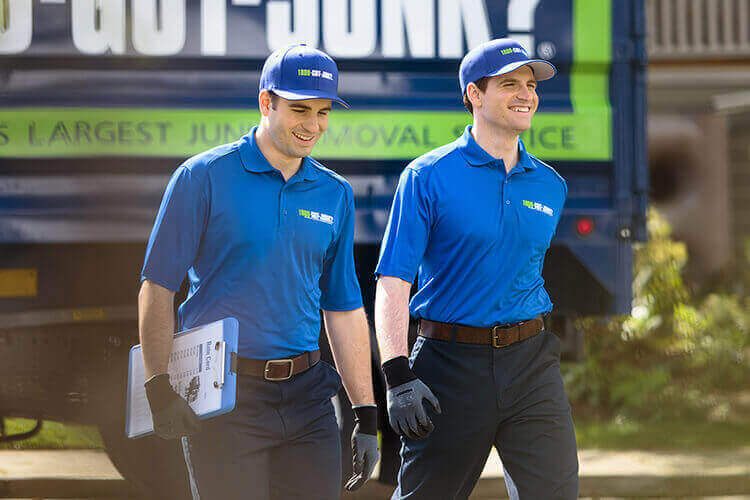 If you need help with flood debris removal, 1800-GOT-JUNK? offers service you can rely on. Our teams are experts at dealing with flood debris clean up. They also understand that dealing with flood damage can be stressful and they’ll work hard to help get your home back to normal as quickly as possible. We aim to make the cleanup process as easy as possible for you. We understand the need for quick resolution in these situations, which is why we always show up on time. Our team will quickly provide you with an on-site estimate after taking a look at the scope of the job. We price based on the volume of space your rubbish takes up in the truck, so you’ll never pay more than you should. Our prices don’t change during times when demand for flood cleanup goes up. During emergency situations (such as natural disasters) we understand that our customers need extra assurance that they are being treated fairly and respectfully.